Rapunzel will be greeting guests in the location that currently houses Gepetto’s Sweet Shoppe. 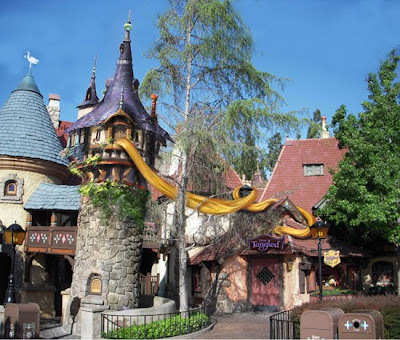 We’re sharing a first glimpse of concept art created for Rapunzel’s new meet-and-greet location in Fantasyland. As you can see in the image above, Rapunzel’s 70-feet of golden locks will drape luxuriously around the room. 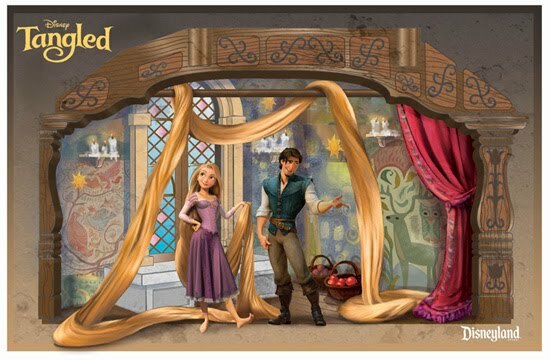 Flynn Rider, Rapunzel’s love interest, will also be on hand to meet and greet guests throughout the day.